Its name is Panda, she’s 2 and a half years old. 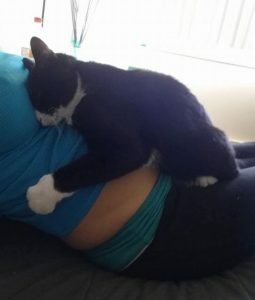 This cat loves to hug belly because baby brother is inside. 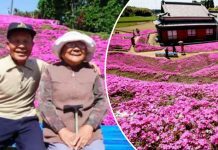 Panda became very attached to its owner and treated the human as its mother, after Panda came to her new home. 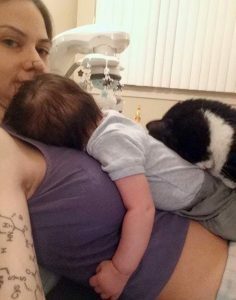 Love Meow reported that “Once I got pregnant she started following me around the house. She bonded with me instantly! 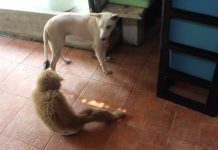 She sleeps with me, cuddles with me…, tucking her head on my belly, purring,” Liel Ainmar Assayag said. The cat loves to sleep on Liel’s belly. She does it during the period of 9 months. 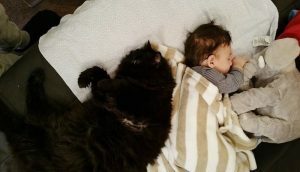 Right after birth, the cat recognized the baby brother after smelling the baby’s scent once. 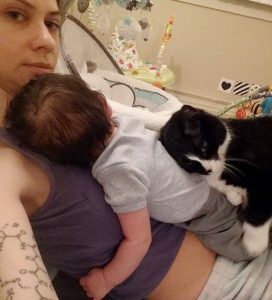 The cat realized that the baby was playing together with her all along. 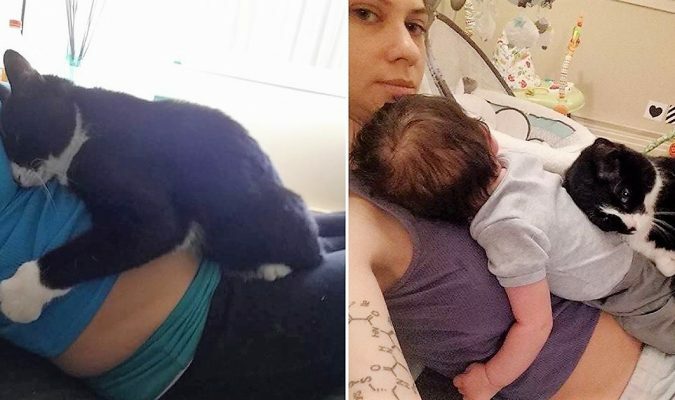 She tucked her head on the belly before and now she tucked her head on the baby the same way. 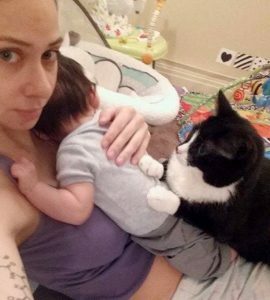 “When the baby is in the crib, the cat is not allowed. Although the cat is not allowed, cat fur is seen all over the bed the next morning. 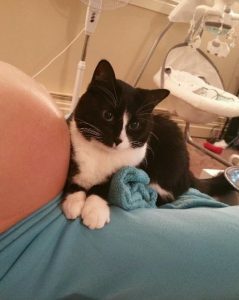 The cat is guarding the baby for the mother. 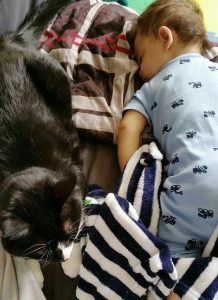 Baby Sean adores the baby too since Panda is not the only cat in the house that loves and protects him. 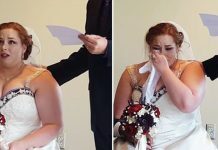 Previous articleAfter seeing what they did, you may want to invite llama to your wedding ceremony too!